Well...those of you on the East Coast are almost out of here, and the rest of us are just starting down the clock, waiting to start the weekend. Why not get some DIY ideas while you wait? 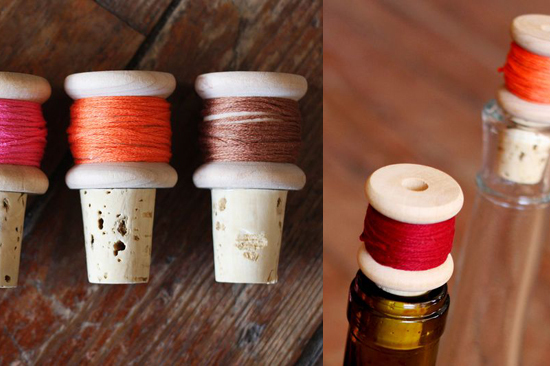 :) Head over to Papernstitch, where I've rounded up some super cute tutorials that all make use of wooden spools. That's right...these babies are moving off of shelves and spool racks and onto bigger and better things! I hope you're able to find a way to make it work for you. The aesthetic is such an individual thing. I have to have it "just right" or it feels undone.